Cool off with this Watermelon Lemon Limeade. Summer’s most adored fruits are the star of this delicious drink recipe and you are going to love it! Hi everyone! 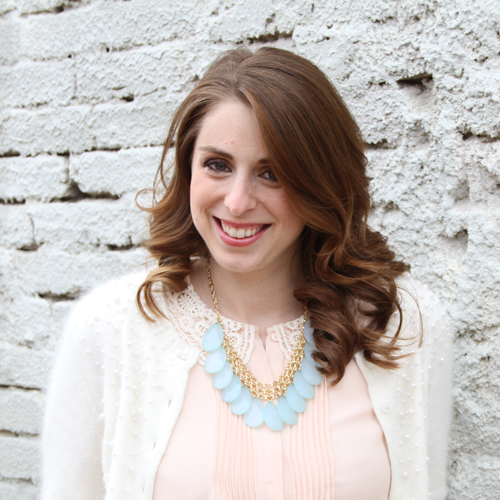 My name is Angela and I’m excited to be a food contributor here at Uncommon Designs. At my blog, Handmade in the Heartland, I share recipes (similar to what I’ll be showing here), craft and DIY projects, parenting tips, home decor ideas, lots of dessert recipes and the occasional fashion post. I’d love for you to pop over and see my blog. Watermelon just screams summer to me, doesn’t it to you?! I love the sweet flavor of watermelon and this summer I’ve made a goal to try new things with this delicious fruit (that is if we don’t gobble it up before I get a chance to start creating with it). This drink is sooo good. Seriously I was so in love with it I had to share it so I took it with me to the park and shared it with my friends, it was a hit with everyone! It’s totally unique and yet familiar at the same time, a perfect twist on lemonade. Like I said I love watermelon, and this watermelon-mint sorbet is the perfect dessert for a summer evening. Refreshing and light it will have you satisfied all summer! Click on over HERE to see the recipe. First blend your watermelon. I cut mine into chunks to fit into my blender and pureed it. After that pour it through a fine mesh strainer, this step is important, you can see the difference before and after you strain it. Its very clear and looks like juice after you strain the solids out. Next juice your lemons and limes, if you wish you could just use lemons. Now you will want to make a simple syrup by combining 2 cups of sugar and 2 cups of water on the stove in a saucepan over medium heat, let it simmer long enough that all the sugar is dissolved then remove from heat. Last combine the syrup you just made with the watermelon juice, water, lemon juice and lime juice, stir to combine and chill. I sliced an extra lemon and lime to put in the pitcher. Last step is to share your refreshing beverage with friends and family! Enjoy! These look so refreshing…definitely perfect for summer! I know..love these flavors during the heat of summer! This looks delicious! Thanks for sharing on the Monday Funday Party! I can’t wait to try this lemonade! Watermelon is seriously my favorite flavor! These look absolutely delicious! Can’t wait to sit on the deck sipping one. Thanks for the recipe! I love anything that has watermelon in it! This looks so delicious and refreshing! Can’t wait to give it a try.